It’s nearly August, and you know what that means: it’s time for the 45th annual Falmouth Road Race. Sponsored by global athletic leader New Balance, this 7-mile-long race begins at 9 a.m. on Sunday, August 20, but the celebration starts days before the actual race. This is the busiest weekend of the year for local merchants, with over 11,000 runners expected to hit our streets this year. That’s a far cry from the 93 participants who ran the first race in 1973. The scenic course stretches from Woods Hole past Nobska Light and along Martha’s Vineyard Sound, ending at Falmouth Heights Beach. Olympic gold medalist, Frank Shorter, helped put the Falmouth Road Race on the map when he won in 1975 in a then-impressive field of 850 runners. This immediately earned Falmouth the reputation for being one of the best non-marathon, world-class races in the country. Although the course enjoys a solid reputation with elite distance runners, the “fun run” spirit is infectious. As long as you’re at least 10 years old on race day and can finish within 1 hour and 40 minutes, you’re welcome here. Join over 20,000 visitors at the Expo race weekend. It kicks off at 5:00 p.m. Thursday, August 17, with more than 50 vendor booths, including the New Balance booth. Score some official race apparel, and try on the latest state-of-the-art athletic shoes. 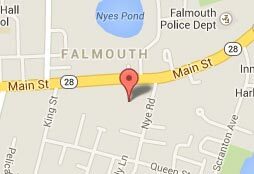 Find the Expo at the Falmouth High School Field House, 874 Gifford Street. Rub elbows with former Olympians and road race legends, attend seminars, and peruse the latest in running, fitness, and one-of-a-kind Cape Cod items. Lace up your favorite walking shoes, head over to Town Hall Square, and take part in the 27th annual Falmouth Walk. This 3.2-mile, family-friendly walk begins at 10:00 a.m. on Saturday, August 19. There’s also a shorter 1.5-mile walk in downtown Falmouth, and all proceeds are donated to Falmouth area charities and non-profit causes. The walkers are hoping to top last year’s earnings of $30,000. Stay around for the post-walk picnic at the St. Barnabas Church grounds at 91 Main Street. A few hours later, at 4:00 p.m. on Saturday, families gather at the James T. Kalperis Track at Falmouth High School where everyone’s a winner. Kids are sorted into five age divisions with a corresponding number of laps around the track. All registered participants receive an official T-shirt, a photo, and a finishing medal. Live music and plenty of refreshments keep everyone cool, happy, and hydrated. The first two pulse starts of the Falmouth Road Race begin at 9:00 a.m. Sunday, with additional pulse starts, consisting of approximately 1,000 runners, continuing every two minutes until the whole field has started. The wheelchair division race starts at 8:40 a.m., and elite women start at 8:50 a.m.
All the proceeds from the Falmouth Road Race, a 501(c)(3) corporation, are used to support local sports programs, youth activities, and Falmouth-based nonprofit organizations. Here at the Mariner Motel, we can hardly wait to welcome everyone back to this “star-spangled celebration of red-hot competition and fun-in-the-sun holiday atmosphere in one of the most picturesque towns on Cape Cod”!